With fallen leaves, stormy nights, and chilled winds, we are in the midst of Fall, and that means that Halloween is just around the corner. Rather than simply letting the kids go trick-or-treating and staying in to binge another series on Netflix, why not have a little more fun this year? Throwing a Halloween party can be a blast with friends and family on this eerie and fun holiday. If you plan on throwing a Halloween party this year, make sure to incorporate some of these tips to host the best Halloween party. Picking a theme will help you really reign in on what to get for the food and decorations. Whether your theme is a specific horror film, haunted houses, witch’s brew, skeletons and goblins, or something else, pick one and stick to it. If there will be a lot of children at the party, perhaps keep it more on the cute side than the scary side. Halloween is closing in fast. Now is the time that people are making plans for it. So get the word out about your party. Invite your friends, neighbors, and family members to enjoy the fun with you on Halloween (or the weekend before). 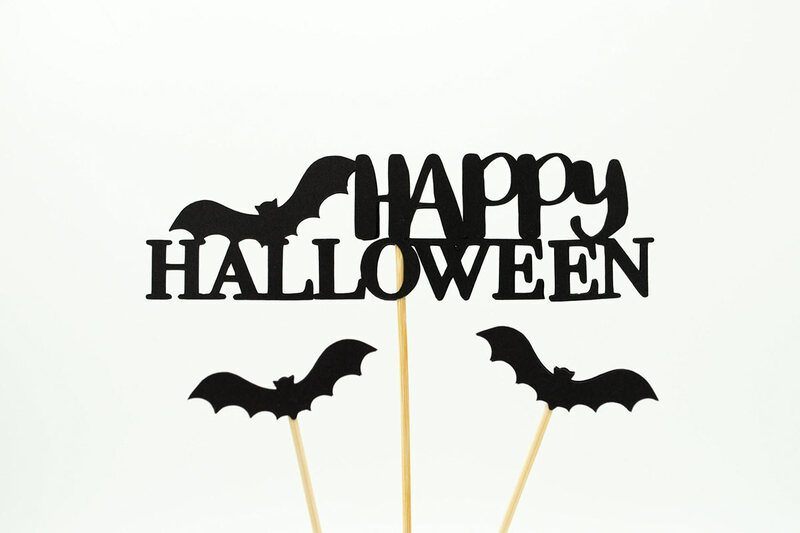 A Halloween party doesn’t need to be super formal, so don’t worry about official invitations to mail or hand out. Send text messages or create an event on Facebook. Keep it casual, but do ask for some kind of RSVP whether it’s on Facebook or a simple verbal confirmation that they’ll be there. This will help you plan how much food and drink you need. Many people go to a party to see friends and socialize, but they stay for the entertainment (and the food, but we’ll get to that). Make sure that you have plenty of fun activities planned for the party, even if you don’t end up using them all. Costume contest. It’s not Halloween without awesome costumes! Pick out a prize like a bag of candy or horror movie set from Walmart. Award the best costume prize sometime in the middle of the party, before people start to leave. Scary movie marathon. Have scary movies playing throughout the night in a living room for those who aren’t feeling up to socializing, or just get a good kick out of thrills. Bobbing for apples. Get a large (and I mean LARGE) pumpkin, clean it out, fill it up with water or apple cider, and place apples inside. Let people go nuts trying to get the apples (and maybe offer some sort of prize for those who are successful). Music. Every party needs some kind of background music to keep it alive. Whether it’s thematic or simply your favorite tunes to dance to, make sure you have something. And of course, the best part of the party is the food, so make sure you get lots of it. The more food you have (good food that is), the longer people will stay. Pick foods that go well with the theme of your party. If you can’t think of any, take your search to Pinterest, the search engine for great party ideas. Keep it simple with finger foods and appetizers. And of course, don’t stinge on the drinks. Skeleton veggie tray. Shape peppers, carrots, broccoli, tomatoes, and sugar-snap peas into a skeleton. Pumpkin puke dip. Okay that sounds gross, but it’s way fun. Just carve out a small pumpkin, cut a hole for the mouth and place the dip coming out of the mouth on a tray so it looks like the pumpkin couldn’t keep it down. Decorative cookies. You can’t go wrong with Halloween themed sugar cookies (witch hats, black cats, and pumpkins). And if you don’t want to make them, you can find plenty at just about any grocery store. Spider bean dip. Make (or buy) and bean dip, place it in a round bowl, and use sour cream to draw a web over the top of it. Put a plastic spider ring on top, and you’re done. If you have any food or drink spills happen throughout the night, don’t stress. There are always professional carpet cleaners just waiting to be called in to help you after a great party. Just relax and have a good time at your party. What is the right way to do decline bench press, and what are the benefits?